Forming a Habit or Habit Forming? They say it only takes 21 days to form a habit so I think this is Day 2 of blogging and we only have 19 more days to go….ha. Don't hold your breath. Coffee is my habit. Not sure if I can handle any others. I'm popping in quick to share the 3rd of July's Hostess Club card tutorials here and this one was one of my favorites…it was heavily CASE'd from my upline Connie Tumm. Thanks! Need to design two Fun Folds cards here for tomorrow's class. It was supposed to be embossing paste but alas it's on backorder til the 14th. So it's a little tough to use the paste in class if it's not even here. Good news is that I hadn't designed the cards for class but had two adorable fun folds from the trip so I was half way to done. So easy switch. 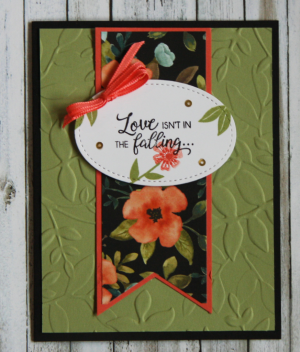 Fun Folds in August..Embossing Paste in Sept. Can you join us? Cards are stinkin' cute!